Dayco General Inc. We are the Chimney Repair professionals in the Minneapolis/St. Paul area. If your chimney is in need of minor repairs, masonry repairs, or even total chimney replacement, our experienced chimney specialists will repair or replace your chimney in just days! Mortar erosion is one of the main causes of chimney degeneration. Dayco General knows the value of using top quality materials for chimney repair. It is simple enough to keep your fireplace clean and in good shape, but your chimney is another matter. 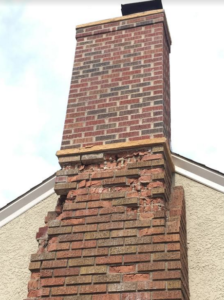 It may be difficult to tell if your chimney has structural damage, mortar deterioration or actual physical blockages without an appropriate inspection from a CSIA certified professional. Deterioration to chimneys can possibly be brought on by a number of issues. Nevertheless, the scope and size of repairs is most often a factor of the age of the structure but can also be brought on by harsh weather (falling tree limbs or lightning strikes) or a chimney fire. Problems due to deteriorating mortar, excess moisture within the chimney, or a chimney fire will weaken clay tile liners and the brick, it is extremely important that chimneys are inspected from time to time so leave it to the chimney repair professionals. The Chimney Safety Institute of America recommends yearly chimney inspection. In the Twin Cities Metro area our excessive freeze/thaw cycles adds even more weight to the requirement for frequent inspections. 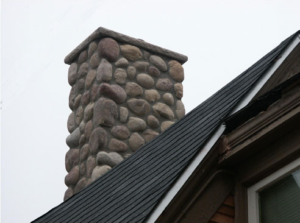 We have been a full-service chimney repair and masonry contractor since 1991, we have repaired and replaced thousands of chimney’s in the Minneapolis metro area. We have the tools, know how, and long-term personnel to fix and repair any kind of chimney issue.